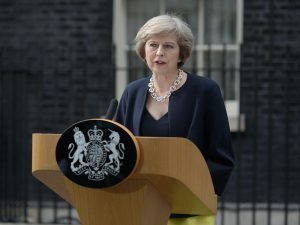 The post-Brexit landscape continues to change at a rapid pace following new Prime Minister Teresa May’s dramatic move into Number Ten, and the unveiling of a new-look Cabinet – almost every Governmental department has welcomed in a new Ministerial head in the 48 hours since David Cameron walked out of Downing Street. Although it is too early to fully determine if Phillip Hammond, who replaces George Osborne as Chancellor of the Exchequer, will have a different philosophy to his predecessor’s, the Bank of England’s Monetary Policy Committee (MPC) was expected to cut interest rates at its monthly meeting in the City yesterday. But, to the surprise of many political and economical commentators, the MPC decided to hold the UK’s interest rate at 0.5%, contrary to widespread speculation there would be quarter-percent cut… for the time being at least. In light of the news Sterling rose against both the Dollar and the Euro, although the FTSE 100 closed slightly down on the day at 6,664.